The De Jager family, Willem, Michelle, Heidi and Francois. BUSINESS NEWS - As of February 2019, ReedValley will be offering free nationwide delivery on all online orders of their EdenValley wine range. This means that whether you live in Koekenaap, Dullstroom or Pofadder, you can now have a piece of the Garden Route delivered to your doorstep. And unlike most special offers, there are no terms and conditions that apply to this one! ReedValley owner, Willem de Jager, says: "Consumers nationwide can now purchase our wine online at cellar prices and have it delivered free of charge. Despite the obvious advantage for the consumer, I am equally excited, as a producer, that we retain the closest possible relationship with our clients. As they purchase directly from us, we remain completely in charge of quality and delivery. "None of our wines will ever be offered via the retail system and can only be purchased online and at the tasting hall on the ReedValley farm, just outside Mossel Bay." To ensure the efficient implementation of this unique free delivery system, ReedValley has appointed a new managing director, Monique van Eeden. "Monique has more than a decade of logistics experience in the wine industry. She launched the wine division for Aramex and was also involved with various online startups, which makes her the perfect candidate," says De Jager. When it came to the decision of which courier company to use, Aramex was the obvious choice. According to Van Eeden, the multinational courier company is the perfect partner for ReedValley. "I know how efficient they are and I am confident that they will deliver – every time, on time." 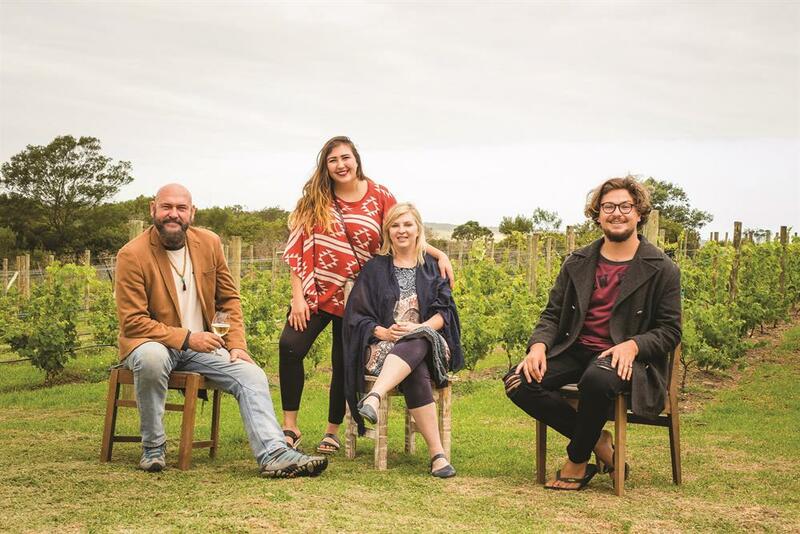 Four years ago, the De Jager family decided to plant vineyards on the ReedValley farm with the aim of establishing a Garden Route wine estate that's totally unique. The Garden Route area is often referred to as the Eden district, hence the name "EdenValley" for their exclusive wine range. At ReedValley they believe that every day should end in the company of family and friends, sharing a glass of exceptional wine – a tradition that they are now able to share with the rest of South Africa. ReedValley is located 7km from Mossel Bay on the Herbertsdale road (R327). The farm had a very successful December season with some of SA's biggest artists including Jeremy Loops, The Parlotones, Die Heuwels Fantasties and Francois van Coke, performing at its Summer Music Festival. The tasting room and food stalls are open from 10:00 to 16:00 every day of the week and on weekends Portuguese-inspired pizzas (alongside the Portuguese menu) are served and there is gin on tap. There are free live music performances every Sunday. For more information about the ReedValley farm and the EdenValley wine range, call 044 698 1022 or send an email to wine@reedvalley.com. Order your case of exclusive EdenValley wine at reedvalley.com/shop and have it delivered free of charge. New MD of ReedValley, Monique van Eeden.